Chocolate box cottages are Buckland-in-the-moor’s main attraction. 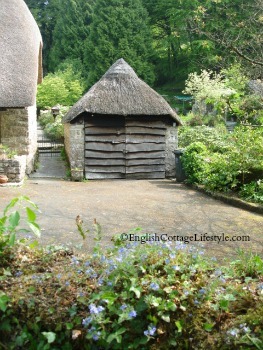 This small idyllic village also boasts a church that’s worth visiting with the only thatched vestry in use in England. Buckland is a small village with the old Manor dating back to the Dombsday Book. There has been a place of worship on the site since the 12th century. Photo: A cottage by the river...Bliss! 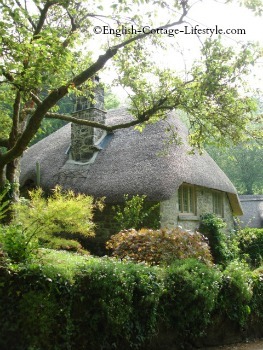 Buckland is situated in Dartmoor, Devon in the South West of England. I stayed in Haytor Vale nearby, it was simple to get to Buckland-in-the-moor and then onto Widecombe-in-the-Moor for lunch. 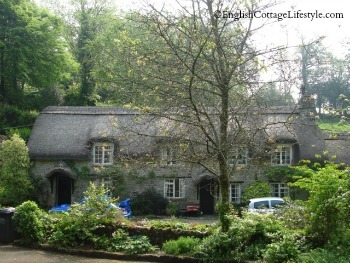 It is an absolutely beautiful area for ‘cottage spotting’ and you can easily visit all three villages in a day or two. If you are fit you can walk the area or drive if you prefer. Photo: Beautiful 'chocolate box' Buckland cottage...Ahh be still my beating heart. As you enter this small village you will be taken back in time with the cottages made by hand from local stone. 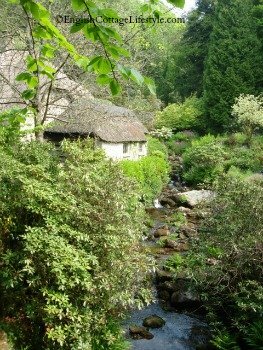 Each cottage sits under a blanket of thatch glowing a honey brown in the suns rays, the small river gurgles by adding to the rural scene, it has been a sight for sore eyes for many the weary traveller. 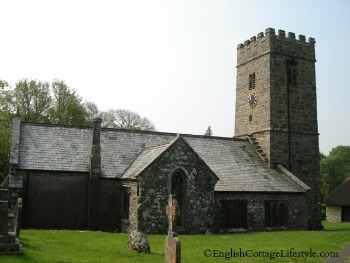 The church in Buckland-in-the-moor is well worth a visit and most famous for it clock which instead of having numbers on the clock face it spells out “My Dear Mother”. The church also boasts the only thatched vestry in use in the UK today. The church is beautiful and very well looked after by the village community who have laid out plenty of information for you to look over. The view beyond the old graveyard will give you plenty of photo opportunities. 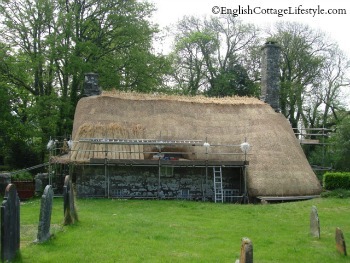 Photo: The vestry being thatched. Notice the 'Lean To' on the right. Buckland beacon lies east of the village and the views are some of the best in Dartmoor you can also find two granite stones with the ten commandments carved on them donated by landowner William Whitley, who also donated the clock mentioned above. The four mile walk begins in Buckland-in-the-Moor and goes across ancient moorland to Buckland beacon on Dartmoor. You will need to be reasonably fit to walk and it will take approximately 2 ½ hours in good weather. From Buckland-in-the-moor you can continue your journey onto Widecombe-in-the-moor for a spot of lunch or go back to Haytor Vale to the Rock Inn. Both places are open for lunch and have outdoor seating in the gardens, they also serve locally produced good food. For information on the Rock Inn in Haytor Vale read below. The weather was fantastic when I visited Dartmoor. England was enjoying a heat wave, the flowers were blooming and Dartmoor was in her full glory. I spent three days in Haytor Vale staying at the Rock Inn. You can get from Haytor Vale to Buckland and Widecombe-in-the-Moor in one day if you are driving. Taxis are also available if you need to call one out (the Rock Inn organised one for me). The Rock Inn has been a favourite of many travellers, myself included. Situated in Haytor Vale in a great spot for visiting east Dartmoor is this charming Inn. It is quintessentially English and undeniably quirky with all its rooms named after horses who won the Grand National during the 1920’s and 30’s one room was called “Lovely Cottage” each one is unique. My room was called “Sergeant Murphy”! The food and the service was incredible. I constantly overheard other guests complimenting the staff, it is a very special place to stay and reasonably priced. The food was superb all local and fresh and cooked to perfection. The building is beautiful, full of period features. There are several fireplaces when it gets cold and there is also a beer garden out front to enjoy when its warm. The staff provided superb service and I can honestly say I did not want to leave! I would certainly return…Wild Dartmoor ponies could not stop me!